Mali Island rugby team acquired new rugby uniforms after planting native trees. The team who had been wearing borrowed jerseys during their Macuata Rugby Union club games in the past two months would now be able to display their skills with a sense of pride. The team received jerseys, shorts and socks on Wednesday. The sporting gear valued at $2185 was brought in through their partnership with the Ministry of Forests. The islanders from the three villages of Nakawaga, Ligaulevu and Vesi planted 22 hectares of native trees on the island under the ministry’s rehabilitation of degraded forests programme. Team manager Ilaitia Beka said this was something they have been appealing for years. “It is through the unity and the communal spirit of the islanders that has led to this and we are really grateful,” Beka said. They have been playing in the Macuata Rugby club competitions for five years. He added the project also benefited their environment. 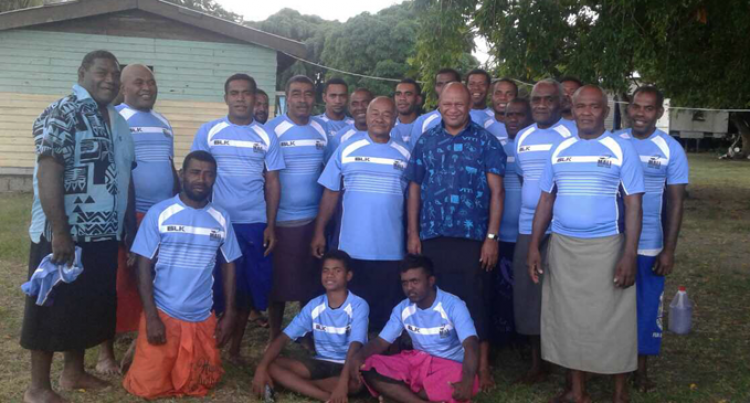 The Minister for Forests Osea Naiqamu visited the island on Wednesday to hand over the rugby gear.